The year was 1988. My friend and I playfully jumped on a tiny, Jane Fonda-type exercise trampoline. We decided to make the most of our time by multi-tasking, (I assume this was my leading) and alternated between “feelin’ the burn” and the artistic expression of sequentially drawing a face using crayons on a piece of paper nearby. One jump. One facial feature added to the masterpiece. I drew a pretty, egg-shaped head. Nice. She added a triangle-shaped nose. I gave her a piece of my mind and tore the picture into tiny shreds. Now, some of you are mortified by my harsh reaction, worried for that girl’s feelings. The rest of you, my sweet darlings, nodding your head in sympathetic understanding of my plight, YOU are PERFECTIONISTS. I used to believe, this morning years ago, that there was a “perfect” way to do everything. Yes, we all have different methods, but I believed only I possessed the “God-ordained, light-from-heaven, chorus-of-angels” plan for whatever we were all trying to accomplish. God help anyone trying to measure up to that. It’s no wonder I am paralyzed by perfection! This pressure, a virtual vise clamp around my goals, squeezing tighter until the perfect seal is created, stops me dead in my tracks. My good intentions to create the “Best Thing EVAH! !” turn into hard-hitting blows that knock the motivational “wind” right out of me. How can something seemingly good become so crippling? If there is anything that stands in stark contrast to the Christian life, it is perfectionism. Perfectionism stands in stark contrast to the Christian life. Unfortunately, the method and outcome becomes more essential than the act itself. God offers us the freedom to color outside the lines and forge our own path. Perfection allows for neither of these. God wants us to be uniquely ourselves, not a clone of someone else’s ideal. Breaking the mold isn’t easy, but when we do, what takes shape is a messy, crayon-scribbled face that God wants to hang on His fridge, pointy nose and all. Life isn’t meant to be perfect, but it is who we are, and LIFE is worthy of attempting. I choose to believe that while I may not be perfect in the pursuit, the path with be perfectly suited. I may not be perfect in the pursuit, the path with be perfectly suited. it reminds us how small we are and how big He is. So you have a big dream, but you are paralyzed by a need for perfection. How do you overcome your fear and start moving? Remember His grace, and extend it to yourself. John 1:16 says, “God is full of grace. From him we have all received grace in place of the grace already given.” If God can forgive your imperfections, you can certainly forgive yourself. Be an individual. Allow others to be themselves. Can we all give up the need to be perfect, and instead, be human? 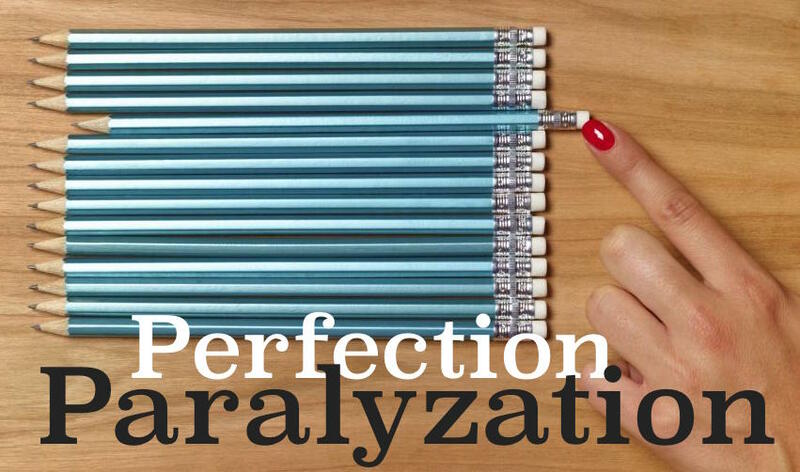 My friend, Mary Carver, understands how perfectionism can stagnate our faith. Check out her thoughts at www.givinguponperfect.com as she blogs through her journey. Erica, this really spoke to my heart thank you for your transparency and obedience! The Father uses you in such a mighty way that it is beautifully awe inspiring to witness! Blessed so much by you my friend! I am so glad God spoke to you through my struggle! It’s our story that keeps us all connected. Love you! What does it say about me that I really kind of think you did your lame-artist friend a favor? I mean, she’s probably a much better artist now because of that! Right? 🙂 Thank you for linking to me! I am definitely still figuring this out and love your encouragement here! I will soon be 66. I still struggle but I know that God is bigger than my many faults and failings, my inabilities and my insecurities. My desire is to reflect His character to His glory. I would love to share my testimony with you. God bless you and keep you may he shine His light bright upon you. I live with two perfectionists. One is 7 and one is 33. I kind of enjoy drawing triangles on their artwork and slightly moving the salt shaker to the left so it is uneven. However, even I have things that I’m passionate about and want to see done really well. Then I don’t have such a great sense of humor about things I deem sub-par. I have a hard time letting that passion drive me and not leaving torn up pictures on the side of the road or people… people with all the feelings. I knew just by the title that I would relate to this! I’ve called my self a “frustrated perfectionist” or an “all or nothing perfectionist” & the nothing part definitely falls under the “paralyzed perfectionist”. My perfectionism has kept me from accomplishing so many things because if I can’t finish something, I don’t want to start it, and if I I’m unsure whether I can do it “right” ie: to my “perfect standard of expectations” then I don’t want to even attempt it. This is definitely an area in me where growth is still a work in progress!